IT WORKS! - It effectively helps thousands of people with a diverse range of ailments. Chiropractors are specialists in the treatment of the spine and will provide you with expert advice and care. Their specialized knowledge and skill allows them to effectively restore and maintain the health of your musculoskeletal system. Chiropractors do not use medications but rather use gentle adjustments and other natural methods to address the health of the body. Chiropractors spend years studying the intricate structure and function of the joints, muscles, and soft tissues of the spine and body. They learn a number of techniques to slowly and gently restore the health to regions of the spine that are tight, tender, restricted in movement, and generally unhealthy. Chiropractors call these unhealthy areas in your spine, "subluxations." In correcting these subluxations, chiropractic care aims not only to relieve your symptoms, but also to restore the function and structural integrity of the spine. A well-adjusted spine helps ensure that your problems do not return and aids in maintaining the overall health of the body. The unique technique uses by chiropractors to treat the spine is the chiropractic adjustment. This is a gentle and precise treatment that restores the motion and health of the body's joints. 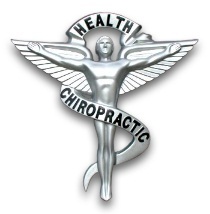 Chiropractors are highly educated and skilled professionals. 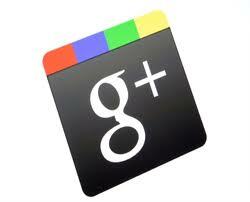 They possess a wealth of knowledge and provide cutting edge advice and treatment. The Doctor of Chiropractic degree requires 4 years of full time training at an accredited chiropractic college. In addition, after graduating chiropractors maintain a high standard of knowledge through continuing education courses. MORE THAN 25 MILLION AMERICANS VISIT A CHIROPRACTOR EACH YEAR. WHO ARE THE BIGGEST ADVOCATES OF CHIROPRACTIC? Our biggest advocates are the millions of satisfied patients who benefit from this effective form of care. Patients who visit chiropractors are generally very impressed with the care they receive. Many studies comparing chiropractic treatment of the back with the medical treatment shows patients are notably more satisfied with the care they receive from chiropractors. Don't wait any longer, give chiropractic care a try. Become one of the millions of satisfied chiropractic patients worldwide.